Happy National Puppy Day! 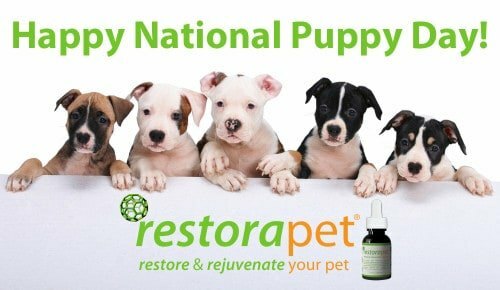 Though RestoraPet produces visible improvements against the signs of aging in older pets, it effectively maintains wellness in younger ones. This offer ends March 31, 2016.